Indian Institute of Management (IIM) Rohtak hosted its first Mumbai management conclave on November 11, 2017. Mumbai: Indian Institute of Management (IIM) Rohtak hosted its first Mumbai management conclave on November 11, 2017. The purpose of the conclave was augment interface between academe and industry for transformation of business environment in India. Several industry stalwarts and top academics from IIMs participated in this conclave. Key discussion was around innovation and how it can help transform the business environment specifically and nation in general. Academics and industry stalwarts discussed how GST may help transform consumption behavior, business environment, and investment in India. 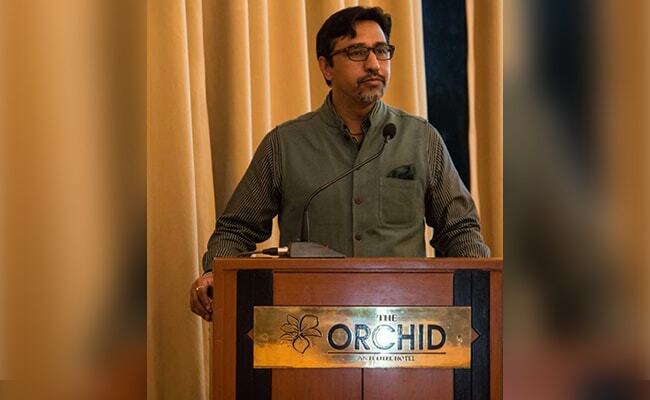 Prof Dheeraj Sharma, Director, IIM-Rohtak said that, "GST is an innovation. It is innovation in tax collection and governance. He said new changes in GST are likely to further stimulate consumer demand by cutting inflation, improve investment environment in India, and encourage better tax compliance among traders and small businesses." More than fifteen industry stalwarts and IIM faculty discussed how innovations can be fostered and commercialized successfully. Among the key invitees who spoke at the event were Sonali Dhawan, Marketing Director P&G, Prabhat Agarwal, CEO Alkem labs, Pia Shome, Vice President RBL bank, Pia Shome , VP, RBL Bank, Bal Mukand Singh, AVP-HR, HDFC Ergo, Rajesh Dubey, President Alkem Labs among others. Prabhat Agarwal, said "GST presents an opportunity for pharma sector to leverage". He also talked about inefficiencies in supply chain that will be reduced as a result of GST implementation. Mr Dubey added that while on surface there is an increase in GST on pharma 12% but actually there may be reduced tax burden if other efficiencies in supply chain are realized properly by good organizational practices. Mr Tridipta from Thompson Reuters said that new GST changes will bring positivity in business environment. Mr Sunil Bhagwat from Huhtamaki added that GST will increase food consumption that will probably lead to increased business in packaging industry. 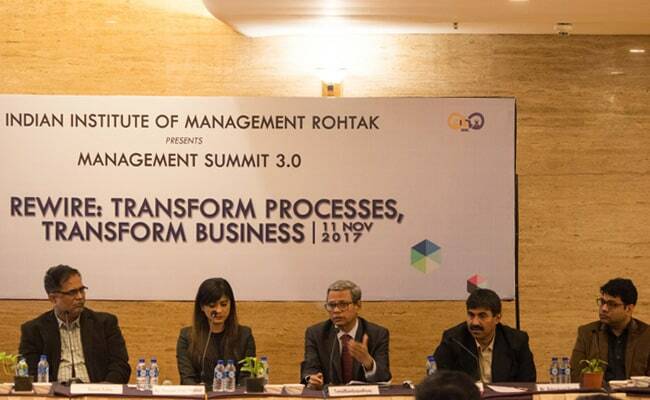 Nearly fifty students and five faculty members from IIM-Rohtak were involved in organization of this event that aims to crystalize how innovation in products, services, and governance can act as catalyst in transforming the economy.